Look out this fall for an interesting new book about the ubiquitous early American statesman Roger Sherman: Mark David Hall’s (George Fox University) Roger Sherman and the Creation of the American Republic (OUP 2012). A law and religion subject because of Professor Hall’s emphasis on the importance of Calvinist thought for Sherman. The publisher’s description follows. Roger Sherman was the only founder to sign the Declaration and Resolves (1774), Articles of Association (1774), Declaration of Independence (1776), Articles of Confederation (1777, 1778), and Constitution (1787). He served on the five-man committee that drafted the Declaration of Independence, and he was among the most influential delegates at the Constitutional Convention. As a Representative and Senator in the new republic, he played important roles in determining the proper scope of the national government’s power and in drafting the Bill of Rights. Even as he was helping to build a new nation, Sherman was a member of the Connecticut General Assembly and a Superior Court judge. In 1783, he and a colleague revised all of the state’s laws. 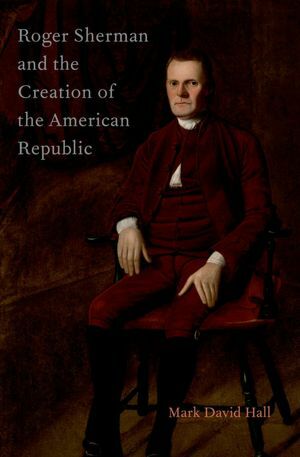 Roger Sherman and the Creation of the American Republic explores Sherman’s political theory and shows how it informed his many contributions to America’s founding. A central thesis of the work is that Sherman, like many founders, was heavily influenced by Calvinist political thought. This tradition had a significant impact on the founding generation’s opposition to Great Britain, and it led them to develop political institutions designed to prevent corruption, promote virtue, and protect rights. Contrary to oft-repeated assertions by jurists and scholars that the founders advocated a strictly secular polity, Mark David Hall argues persuasively that most founders believed Christianity should play an important role in the new American republic.